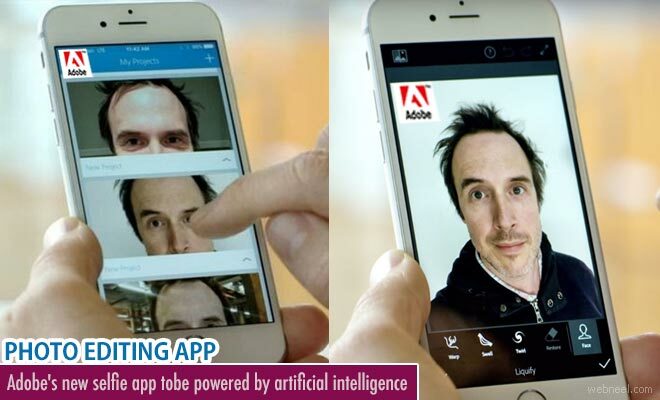 Adobe is testing a new app which makes selfies taken by smartphones sharper and much better. The app uses artificial intelligence to transform the selfie images. Adobe Sensei app can alter the depth of the selfies taken directly or already saved images in the device. Another tool called 'Liquify' tweaks the angle from which the image is captured. It combines 3D facial mapping, automatic portrait masking and style transfer. The technology also allows users to minimise or accentuate the facial features. "By combining perspective effect editing, automatic, software-only photo masking and photo style transfer technology, we're able to transform a typical selfie into a flattering portrait with a pleasing depth-of-field effect that can also replicate the style of another portrait photo," reads the YouTube video description. The wide angle lenses in smartphones usually have unpleasant distortion, and the small camera sensors can’t produce those blurry backgrounds we see in higher-end portraits. But still selfie lovers never stop shooting images which made adobe concentrate on upgrading the images. The ultimate aim of the selfie app is that the image should end up as a photo shot with a high-end camera with some photographic knowledge, even if it is a quick snap. The launch date of the app is not yet revealed by adobe as of now. But it is definetely a marvelous technological advancement in the feild of photo editing apps.